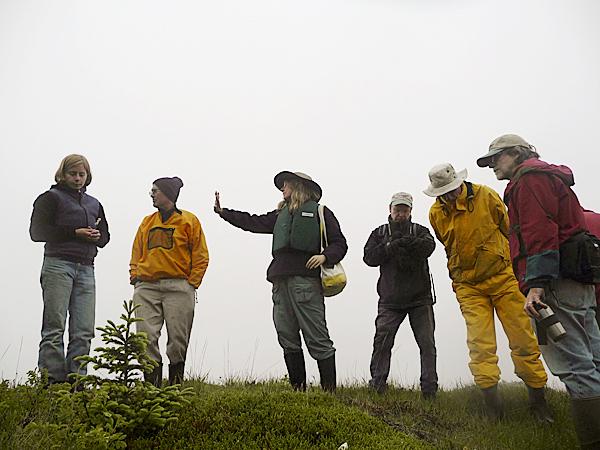 TIBBETT ISLAND, Maine — Wrapped in slickers, wearing boots and warm clothing, a group of intrepid naturalists rambled around Tibbett Island on a recent chilly, foggy morning. On the trail that cuts through the center of the island, they stopped often to observe plant life as they participated in the amateur botanist’s tour. Although the fog shrouded the view and eventually turned from a wet mist to a definite rain, the hikers weren’t disappointed. “I think of this island as a Whitman’s Sampler box. It has a little bit of everything,” said Gerry Metz of Addison, a retired ophthalmologist and an avid environmentalist. Participants marveled at circular blooms of seaside bluebells. They munched on bunches of sea rocket. As they trekked through a boggy area they sampled wild cranberries. They observed the medicinal plant marsh skullcap, gooseberries, raspberries and blueberries. Once an island where Addison farmers let their sheep roam year-round in open fields along the rugged, rocky coast, the forest has crept in, with thick spruce stands crowding the trail. 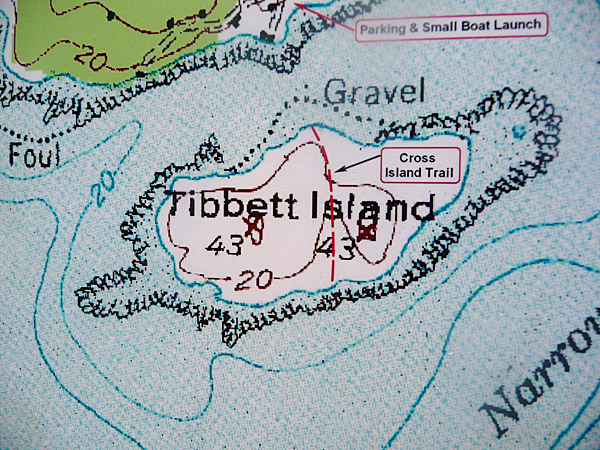 Tibbett Island was purchased in December 2007 by the Downeast Coastal Conservancy and now is a preserve, open to the public and easily accessible from the South Addison public beach by canoe or kayak. Boutureira said he has visited the island many times. When he brings prospective donors to the site, the donors often wonder how it remained undeveloped. “It is a wonderful place,” Boutureira said. On this foggy weekday, two amateur naturalists, Marilee Lovit and Donna Kausen, both from Addison, led the group of hikers. 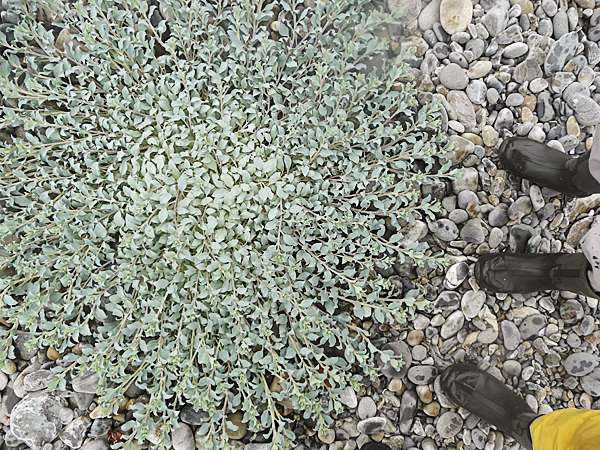 The duo identified plants and explained the botany and geography of the island. 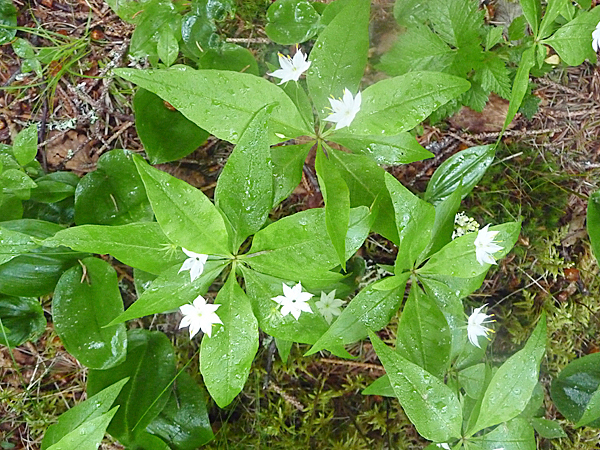 They recently completed documenting more than 400 plants at Acadia National Park for a resource guide, and Lovit said many of the same plants exist on Tibbett Island. She said a complete resource analysis and inventory of the island was completed recently, with Lovit and Kausen cataloging the open areas of the island. 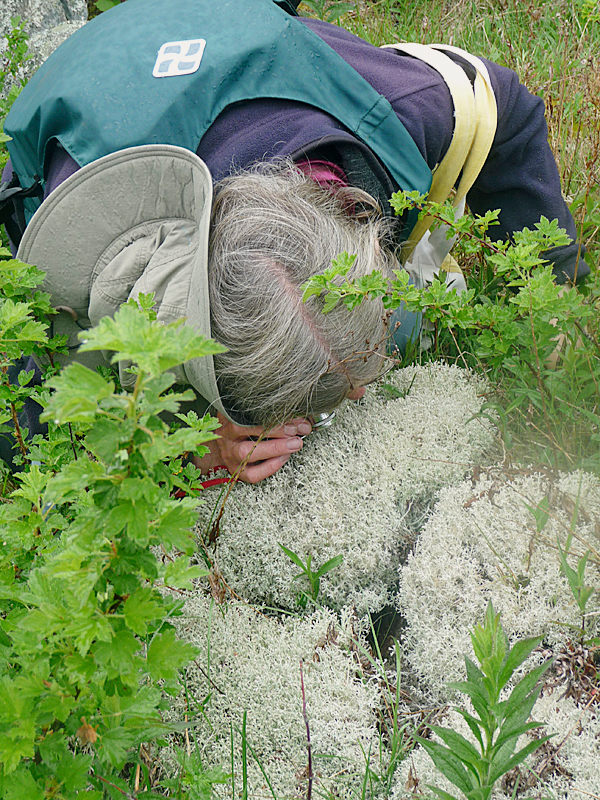 A 25-acre spruce forest pocketed with a few small fields and a bog or two, Tibbett Island Preserve is a naturalist’s paradise. “We made a list of more than 100 species,” Lovit said. Lovit told the hikers that until the 1930s, the island was mostly open land used for pasturing sheep. 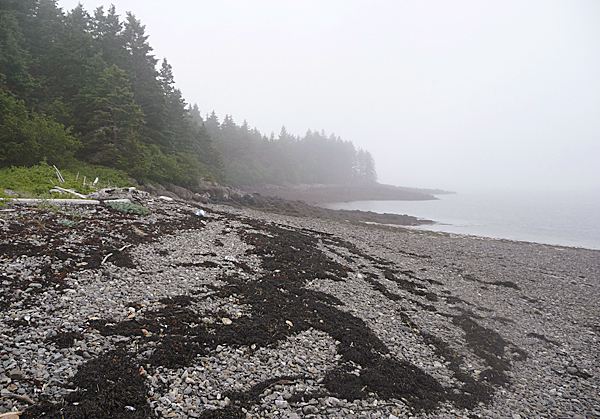 “Because it is cold here, it slows the decomposition and therefore there are very deep layers of humus on the island,” Lovit said. The group of hikers appeared enthralled — stopping often and asking many questions. Some took photographs, others made field notes. Kausen said Tibbett has easy access and visitors are not disturbing any nesting birds. “For the last two years, we have been using the island for an educational experience for local schoolchildren,” Lovit said. Gathering on the island’s beach to begin the short paddle back to the mainland, several hikers shared their thoughts. “I recently relocated to this area and I’m so interested to learn about the natural world here,” said Tom Hitchens of Steuben. “This is a magical place,” Metz added.